This week there were a few coupons that can get your some free items :) Some were in the paper and some were printable, so get to clipping and hurry to these stores! Dawn Hand Renewal on sale 99¢ this week = Free (25¢ here - still a good deal) after the coupon! Renuzit Super Odor Neutralizer Cones - 94¢ each = Free + 6¢ overage after the coupon! 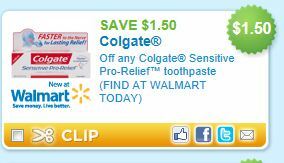 Travel Size Colgate Sensitive Pro-Relief Toothpaste - 97¢ = Free + 53¢ overage after the coupon! 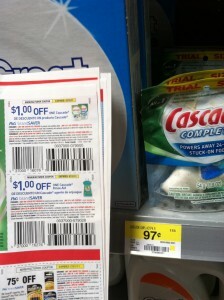 Cascade Trial Packs (3 actionpacs in each), 97¢ each - Use $1 off coupon = Free + 3¢ overage after the coupon! 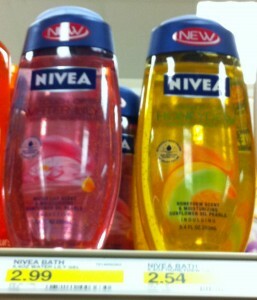 Nivea Body Wash, $2.99 - Used $2 off coupon and stack with $1 off Nivea Skin Care Item Target Printable Coupon = Free after both coupons! 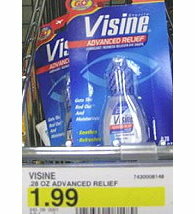 Visine Advanced Relief Drops (found in the travel section), $1.99 - Use $2 off = Free after the coupon!